I LOVE!! 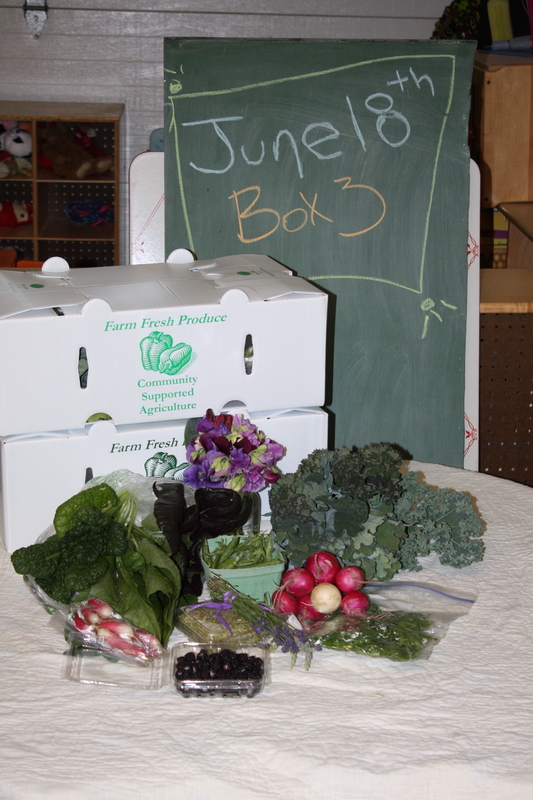 the Food Box this week……it has a little bit of everything for mind body and soul. Big jumbo bunch of Assort. Kale. We grew 7 varieties this year and they sure are pretty. 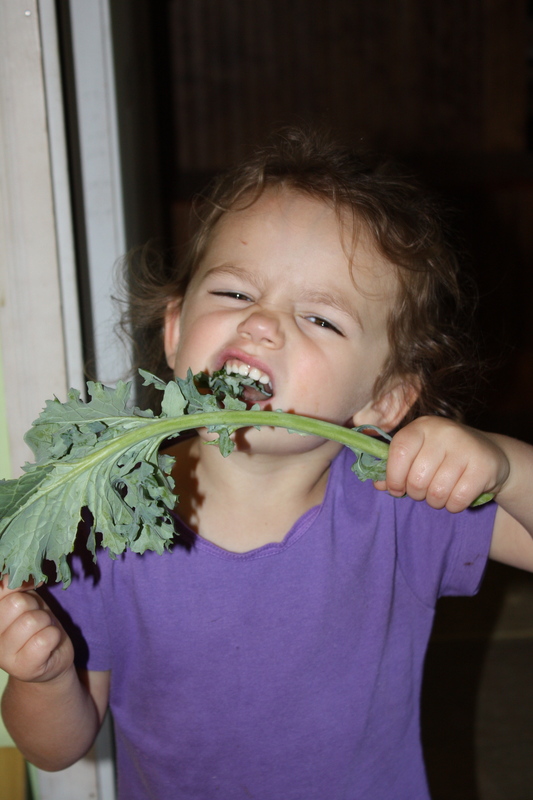 Maeve’s favorite way to eat kale-fresh picked raw from the garden! Asian Greens Mix- A nice mix of these wonderful heathy greens that Scott fondly calls “fodder”. Radish-A small bunch of the french breakfast for everyone. This will be the last of the Radishes until Autumn. Turnips-Perhaps the end of these too for awhile. They do not enjoy the heat and the little white beauties decided to stay tiny. The greens are delicious with the Asian Greens in a sauté. Gigantic Bunch of Cilantro- 2 varieties here. The fragrance filled the entire garage as we were prepping. Black Cap Berries OR Peas-Both of these crops had low yields due to heat so we split them in 1/2. You will get one or the other this week. French Garden Mix-Sprouted Seeds of red clover, arugula, radish, fenugreek, curly cress and dill. Incredible flavorful. Store in Fridge and rinse from time to time shacking package to drain excess water. Lavender Bundle- Sweet little bundle to put on your pillow, soak in the bath water or dry and keep in a dresser drawer. Very aromatic and calming. Sweet Pea Bouquet-I am surprised but we have a great crop (on very short vines) in all this heat. Fragrant wonderful flowers. A favorite of mine. Enjoy! All of the cool early season lettuce decided to give up in this extreme heat and draught….so, no lettuce this week. Several heat tolerant varieties have been planted for many weeks and may be ready as soon as next week.